The Monterey debut of the TUDOR United SportsCar Championship lived up to the tradition of close GT racing and Corvette dominance at Mazda Raceway. 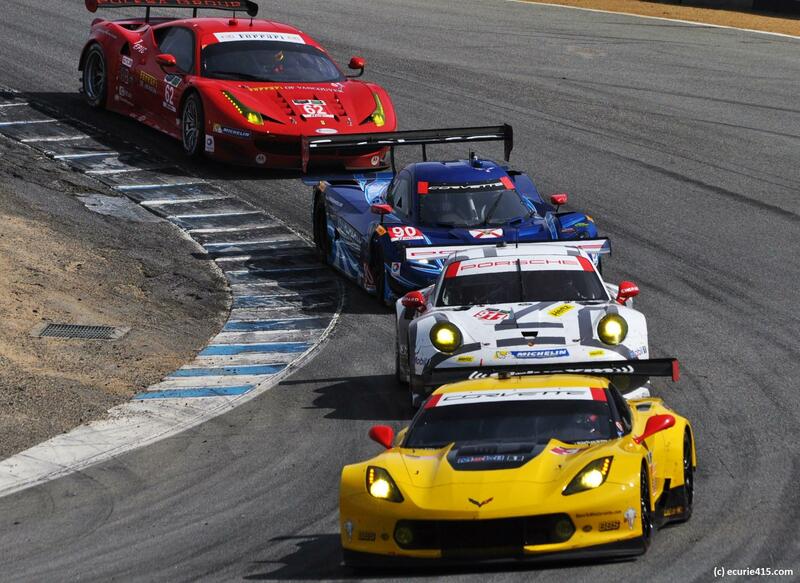 For Corvette, the GTLM win was its second of the season and its third victory in as many years at Laguna Seca. 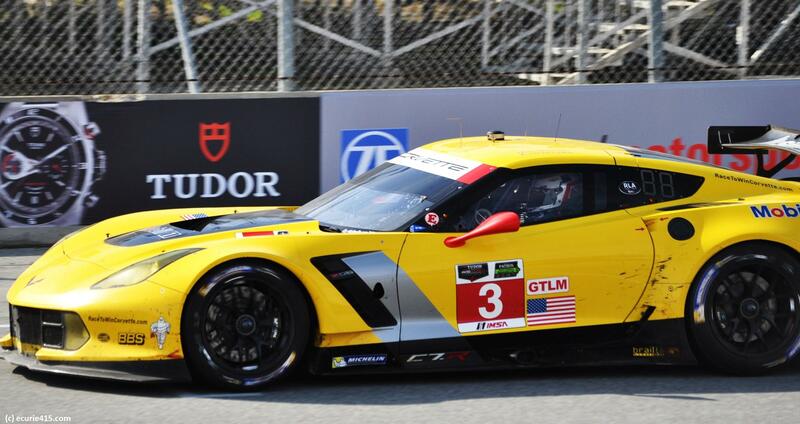 Corvette’s driver pairing of Antonio Garcia and Jan Magnussen won at Monterey for the second consecutive year, just weeks after delivering Corvette its first TUDOR win in Long Beach. 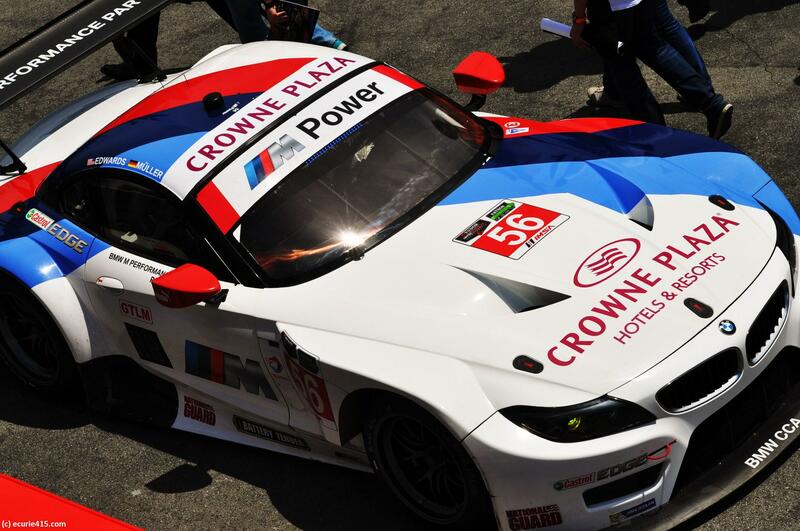 In GTD – which raced separately due to pit lane space constraints – Dane Cameron and Markus Palttala of Turner Motorsport took top honors in their BMW Z4GTE. The race-long battle in GTLM between BMW and Porsche was a textbook example of hard racing, but it ended with a penalty against Nick Tandy and Porsche. 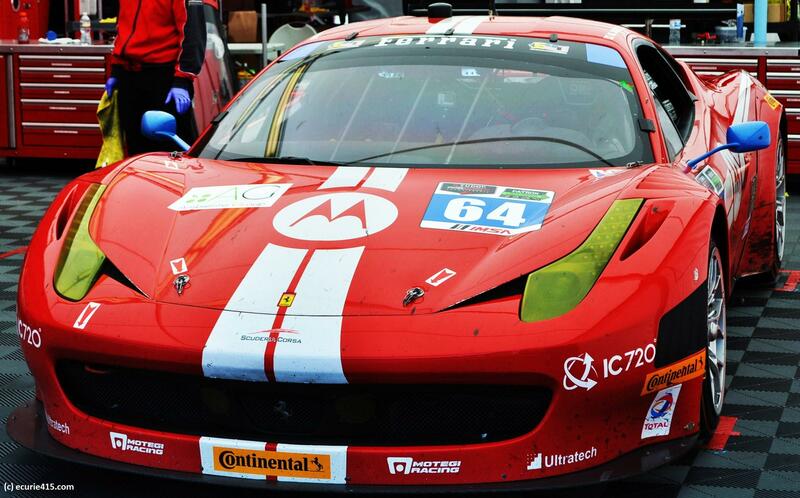 IMSA has seen three races end with penalties, all of which have caused controversy. This remains an area of concern for the series, although both Tandy and Edwards are smart drivers who should be allowed to race each other. But with caution-free racing, pristine weather, and a sprint-to-the finish race format, both GT classes delivered the goods at Mazda Raceway. And for Magnussen and Garcia, who seem to have claimed ownership of the Monterey Peninsula, the California sun shone a little more brightly. Magnussen (above) started in the lead Corvette, but Garcia set a lap record in qualifying. 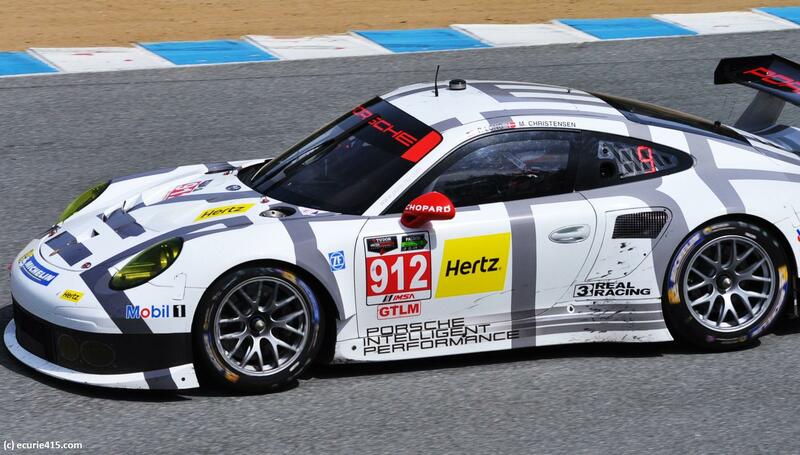 Krohn Racing returned from the World Endurance Championship to race as the lone privateer in GTLM. 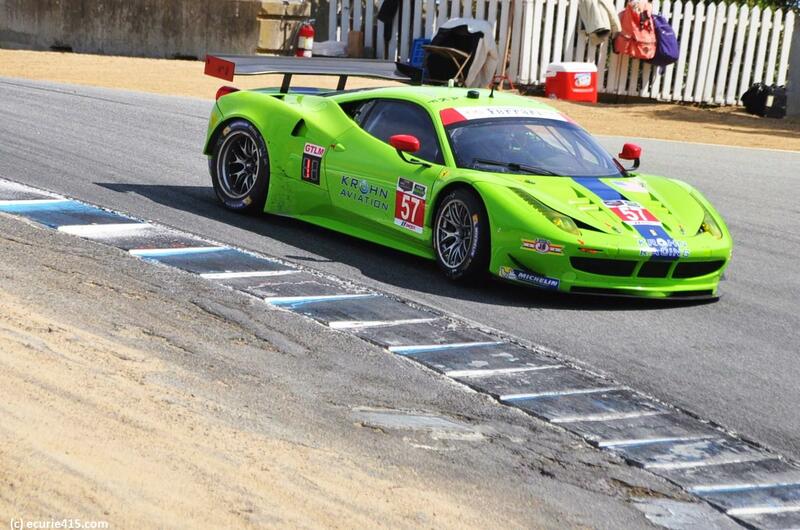 The F458 looks fantastic in Krohn’s traditional green livery. Bill Auberlen and Andy Priaulx scored a podium for BMW, after tussling in the late laps with a factory Porsche driven by Nick Tandy. A post-race penalty against Porsche demoted Tandy’s car to ninth and elevated Giancarlo Fisichella’s Risi Competitzione Ferrari to third place. 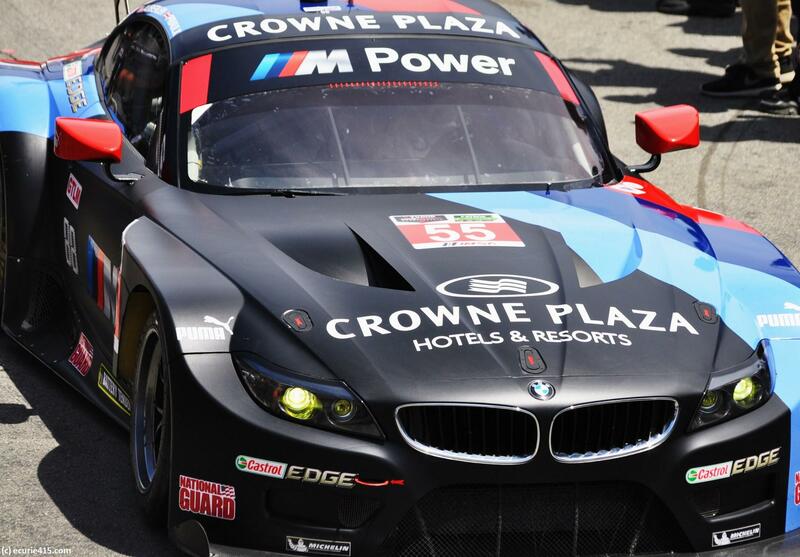 The question that wasn’t answered is how much of BMW’s pace comes down to pure performance, and how much is down to performance breaks from IMSA. Dodge re-branded its SRT division just as the Viper arrived in Monterey, so this car may look slightly different at the next race. The TUDOR-spec version features an 8.0 litre V-10 under the hood, putting out somewhere near 490 hp. Mated to a set of paddle shifters, the Viper can reach speeds of up to 185 mph. With its booming exhaust and aggressive styling, the Viper has always been a crowd favorite. The 458 Italia is a stunner. 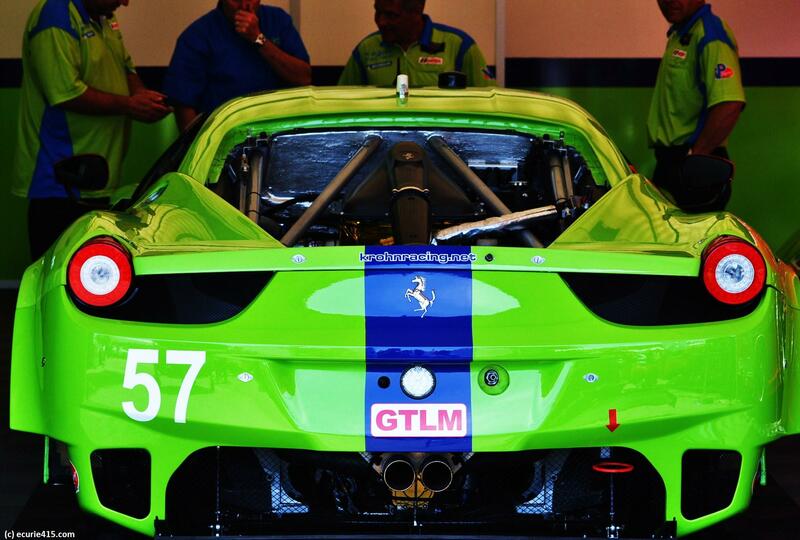 The GTD version, shown below, was prepared by Scuderia Corsa. The 64 car (below) finished 10th at Mazda Raceway, with its sister car finishing in seventh. The Porsche factory effort was cursed at Mazda Raceway; the lead 911 of Nick Tandy was penalized for contact with the BMW of John Edwards, and the 912 survived a few incidents to finish ninth (eighth after Tandy’s penalty). Porsche misfortune turned into a bonus for Risi Ferrari, which finished third after the penalty. 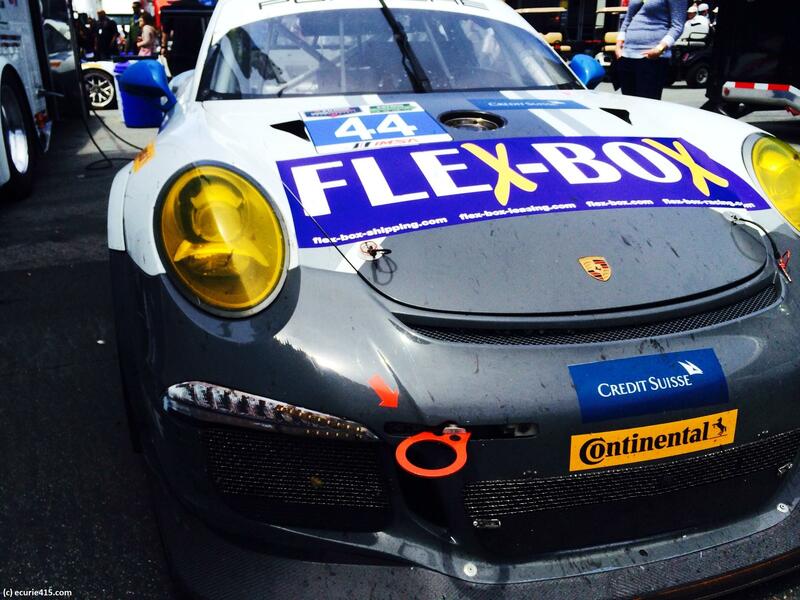 Andy Lally’s Magnus Racing Porsche looked slightly worse for wear after a podium in Race One. 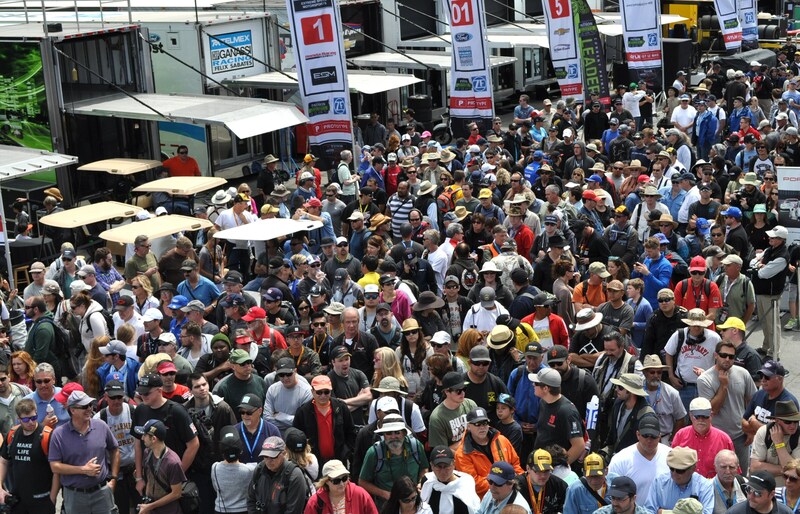 Crowds continue to pack the grid walk. 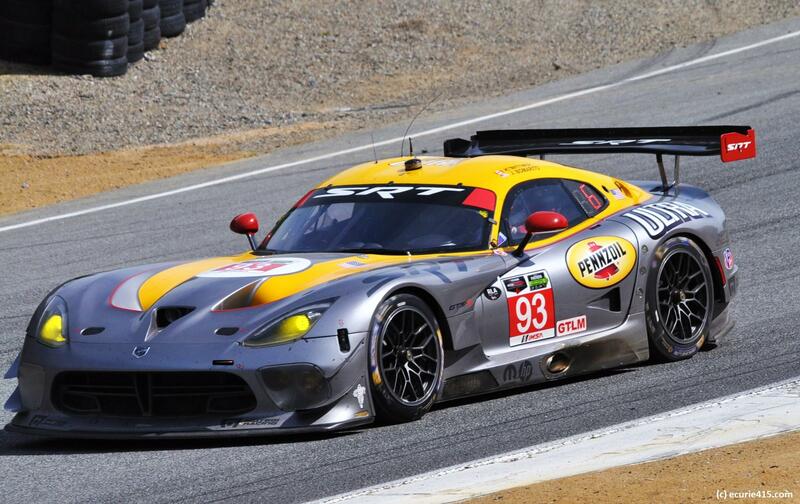 This entry was tagged Corvette, Corvette Racing, Ferrari, Krohn Racing, Magnus Racing, Mazda Raceway Laguna Seca, Monterey GP, Porsche, sports car racing, Tudor United SportsCar Championship. Bookmark the permalink.